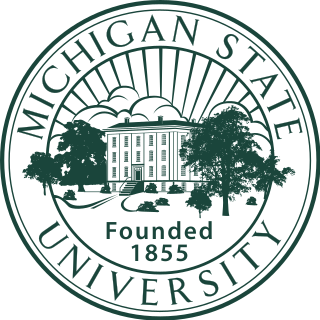 The Michigan State Spartans men's basketball team represents Michigan State University (MSU) and compete in the Big Ten Conference of NCAA Division I College basketball. Their home games are played at the Breslin Student Events Center. Tom Izzo has been the head coach since 1995. The Spartans have won two NCAA championships and 15 Big Ten Conference Championships. Their two National Championships came in the 1979 NCAA Tournament and the 2000 NCAA Tournament. The 1979 National Championship Game was the most watched college basketball game in history, with 35.11 million television viewers. The 1979 National Championship team was coached by Jud Heathcote and included tournament MVP Magic Johnson, Greg Kelser and Jay Vincent. The Spartans defeated the previously unbeaten Indiana State Sycamores, led by future Hall of Famer Larry Bird. The 2000 National Championship team defeated the Florida Gators men's basketball team in the final. The team was coached by Tom Izzo and led by players Morris Peterson, Charlie Bell, Jason Richardson and tournament MVP Mateen Cleaves. The Spartans have participated in 33 NCAA tournaments and in 22 consecutive NCAA tournaments (1998–2019), the fourth-longest streak ever and third-longest active streak in college basketball, behind Kansas (29) and Duke (23). Michigan State has the sixth most all-time Final Four appearances with ten (1957, 1979, 1999, 2000, 2001, 2005, 2009, 2010, 2015, and 2019). The program is also ninth all-time in NCAA tournament winning percentage (.677, through 2018). This is a list of the most consecutive appearances in the NCAA Division I Men's Basketball Tournament by programs. This is a list of NCAA Men's Division I Basketball Tournament all-time records, updated through the 2018 Tournament. Schools whose names are italicized are no longer in Division I, and can no longer be included in the tournament. Teams with (*) have had games vacated due to NCAA rules violations. The records do include vacated games. The 1908–09 Michigan Wolverines men's basketball team represented the University of Michigan in intercollegiate basketball during the 1908–09 season. The team played its home games at Waterman Gymnasium and compiled a record of 1–4. The team won Michigan's first intercollegiate basketball game, and played in its first overtime game, defeating Oberlin College, 27–25, on January 16, 1909. Carl Raiss won the game in overtime with "a difficult goal from the middle of the field." At the end of the season, basketball was discontinued at Michigan for the next eight years. Although the 1908–09 team played only two home games, low attendance and poor conditions at Waterman Gymnasium were cited as the reasons for terminating the basketball program. Benjamin Van Alstyne coached MSU for 22 years from 1926–1949. He is third in career victories with 231. Van Alstyne coached MSU's first All-American, Roger Grove, in 1930. Some of his greatest victories included a 27–26 victory over Michigan in 1930 at the dedication of Demonstration Hall, and a 66–50 upset over Kentucky in 1945 that was named “CocaCola Upset of the Week.” His 47–45 loss to Kentucky in 1948 set the record for the largest crowd in Jenison Field House history. Benjamin F. Van Alstyne was an American basketball coach. Roger Robert Grove was a professional American football running back in the National Football League. He played five seasons for the Green Bay Packers including the 1931 team that won the NFL Championship. He lettered at Michigan State in 1928, 1929 and 1930. The 1929–30 Michigan Wolverines men's basketball team represented the University of Michigan in intercollegiate basketball during the 1929–30 season. The team compiled a 9–5 record, and 6–4 against Big Ten Conference opponents. The team finished in third place in the Big Ten. Robert Chapman was the team captain, and Joe Truskowski was the team's leading scorer with 113 points in 14 games for an average of 8.1 points per game. In one season under Alton Kircher, the Spartans finished 4–18. Following the conclusion of the 1950 season, the Spartans would join the Big Ten Conference. Alton S. Kircher was an American football, basketball, and baseball player and coach. Pete Newell was hired from San Francisco following a successful four years with the Dons where he went 70–37 and won the 1949 NIT. The San Francisco Dons men's basketball team represents the University of San Francisco in NCAA Division I men's college basketball. The Dons compete in the West Coast Conference, in which they have the winningest program, and have won sixteen regular season championships and one conference tournament championship. The current head coach is Todd Golden. They play home games at the War Memorial Gymnasium, which also serves as the venue for women's basketball, volleyball, athletic department offices, and athletic training rooms. The 1949 National Invitation Tournament was the 1949 edition of the annual NCAA college basketball competition. Forrest "Forddy" Anderson was hired away from Bradley following a trip to the 1954 Final Four with the Braves. His Bradley team had also made it to the 1950 championship game. Two years after taking over the Spartans, in 1957, he led MSU to its first Big Ten Championship. After opening the season with a 4–7 record, the Spartans won 10 in a row and 12-of-13 to capture their first league title and advance to the school's first NCAA Tournament. A bye in the first round of the Tournament preceded wins over Notre Dame and Kentucky to earn a trip to the Final Four. A loss to North Carolina in the Final Four left MSU in the National Third Place Game where they lost to San Francisco. Two years later, led by All-American Johnny Green, the Spartans cruised to a Big Ten Championship, winning the league by four games. A win over Marquette in the 1959 NCAA Tournament put MSU in the Mideast regional finals against Kentucky. The Spartans lost and fell one game short of another trip to the Final Four. Following his initial successes in East Lansing, his Spartan teams only finished with a winning record one time after 1959. He was fired following the 1964–65 season. John Benington, who had been an assistant to Anderson at Bradley before joining his staff at MSU, took over as head coach, and led MSU to a second-place Big Ten finish in his first season at the helm. The next season, he led the Spartans to a shared Big Ten title, but Indiana received the NCAA Tournament bid (at that time, only one Big Ten team received an NCAA bid). After four seasons leading the Spartans, he died of a heart attack after jogging at Jenison Fieldhouse in the summer of 1969 at the age of 47. Gus Ganakas, who served as an MSU basketball radio announcer until 2017, was an assistant under Benington and hired to take over following coach Benington's death. In 1966–67, MSU won its last four games to claim a share of the Big Ten Championship. Indiana, however, earned the NCAA Tournament bid ending MSU's year in the regular season. His most successful seasons were in 1973–74 with a fourth-place Big Ten finish and 1974–75 with a 17–9 overall record, the second-highest victory total at the time. His coaching career came to an end in 1976, but he continued to be a part of the Michigan State Athletics Department, serving as an assistant A.D. and then as an aide to coach Tom Izzo. Jud Heathcote was hired to take over as coach in 1976 from Montana by athletic director Joseph Kearney in May 1976, after coaching the Grizzlies for five years. Heathcote had led the Grizzlies to two Big Sky championships and the 1975 NCAA Tournament, the Grizzlies first ever trip to the Tournament. He finished his tenure at Montana with an 80–53 record. As a virtual unknown, Heathcote came to East Lansing looking to return MSU to greatness. In his second year, he landed one of the game's all-time greats, Earvin "Magic" Johnson, from nearby Lansing Everett High School, as a recruit. The 1977–78 Spartans won the Big Ten title, their first since 1967, qualified for the NCAA tournament for only the third time in school history, and advanced to the Elite Eight. They were led by Johnson and Greg Kelser. In 1979, the duo led the Spartans to a second consecutive Big Ten title and the NCAA National Championship. The NCAA championship marked the school's first in basketball. Following the championship, Johnson left school to join the NBA and Kelser graduated. The result was a ninth place finish in the Big Ten the next year and struggles thereafter. MSU returned to postseason play in 1983, finishing with a 17–13 record and receiving an invitation to the National Invitation Tournament. Following the expansion of the NCAA Tournament to 64 teams in 1985, Heathcote returned the Spartans, led by the future MSU all-time scoring leader, Scott Skiles, to the Tournament with a fifth-place finish in the Big Ten. MSU again reached the NCAA Tournament the following year after finishing third in the Big Ten with a 23–8 record. Led by Skiles and Darryl Johnson, they advanced to the Sweet Sixteen before losing. A trip to the NIT in 1993 broke the streak, but Heathcote again led MSU to the NCAA Tournament in 1994. A fourth-place finish the Big Ten led to an at-large bid to the Tournament as a No. 7 seed. Led by Shawn Respert, they beat Seton Hall in the First Round  before losing to second-seeded Duke in the Second Round. In his final year at MSU in 1995, Heathcote returned the Spartans to the NCAA Tournament for the fifth time in six years. A second-place finish in Big Ten play resulted in an at-large bid to the Tournament as a No. 3 seed where they were surprised by No. 14th-seeded Weber State in the First Round. The game marked the final game of All-American Shawn Respert's career at MSU. In 2001, the National Association of Basketball Coaches awarded him with the Golden Anniversary Award for 50 years of service to college basketball. Also, in 2001, he was inducted into the MSU Athletics Hall of Fame. In 2009, Heathcote was inducted into the National Collegiate Basketball Hall of Fame. In his first year as head coach after 11 years as an assistant coach, Michigan State struggled after losing All-American Shawn Respert. The Spartans finished the season at .500 (16–16, 9–9) and in a tie for seventh place in the Big Ten. MSU received an invitation to the NIT where they defeated Washington before losing to Fresno State in the second round. The season marked the last time MSU would not finish with a winning record. In 1997, the Spartans welcomed new recruits Mateen Cleaves and Morris Peterson to East Lansing. Along with sophomore Antonio Smith, the three made up three-fourths of Izzo's "Flintstones" who would win the National Championship in 2000 (without Smith). In what would be a rarity for MSU in Izzo's tenure, the Spartans played no ranked teams in the non-conference season. The Spartans finished in a tie for sixth place in the conference with a record of 16–11 overall and 9–9 in conference. They received an invitation to the NIT for the second consecutive year. MSU beat George Washington in the first round  and lost in the second round to Florida State. As of 2019, this is the last year MSU failed to make the NCAA Tournament. In 1999–2000. Seniors Mateen Cleaves and Morris Peterson led the way for the Spartans as they began the season ranked No. 3 in the country. However, Cleaves sustained a stress fracture in his right foot prior to the season which forced him to miss the non-conference schedule and MSU fell to 9–4 and ranked No. 11 in the country. After Cleaves' return, MSU finished the Big Ten regular season with a 13–3 conference record and 23–7 overall while being ranked No. 2 in the country and earned a share of the Big Ten title, their third consecutive Big Ten championship. The Spartans went on to win the third annual Big Ten Tournament as the No. 2 seed, defeating No. 25 Illinois for the championship for the second consecutive year. The Spartans were awarded the No. 1 seed, their second consecutive No. 1 seed, in the Midwest Region of the NCAA Tournament. From there, the Spartans cruised to their third consecutive Sweet Sixteen with wins over Valparaiso,   and Utah. MSU continued their National Championship push by reaching their second consecutive Final Four with wins over Syracuse   and Iowa State. MSU won every game by double digits despite playing the best possible seed in each round. In their Final Four matchup, Michigan State faced off against fellow Big Ten foe, Wisconsin, beating them in a hard-fought game, 53–41. In the National Championship game, the Spartans triumphed over the Florida Gators 89–76, despite losing Cleaves to an ankle injury 3:42 into the second half. The win marked MSU's second National Championship in basketball and Izzo's first and only championship to date. Losing both Cleaves and Peterson to graduation following the season, MSU still began the 2000–01 season ranked No. 3 in the country. Led by sophomore Jason Richardson, freshmen Zach Randolph, and seniors Charlie Bell and Andre Hutson, the Spartans finished the non-conference schedule undefeated and ranked No.1 in the country. MSU again earned a share the Big Ten title, their fourth consecutive, with a 13–3 conference record. They suffered a surprise defeat by Penn State in the Big Ten Tournament in their attempt to win the tournament for the third consecutive year. They received their third consecutive No. 1 seed, in the South Region of the NCAA Tournament. Seeking a repeat National Championship, MSU easily dispatched Alabama State  and Fresno State  to reach the Sweet Sixteen for the fourth consecutive year. A win over Gonzaga  and Temple led to the school's third straight trip to the Final Four. However, they were unable to repeat as National Champions, losing to Arizona in the National Semifinal. Following the season, Randolph and Richardson each left school early and declared for the NBA Draft. The 2010–11 Spartans finished the non-conference portion of their season 8–4 and ranked No. 20 in the country. However, the Spartans were inconsistent in conference play, suffering nine losses and finishing 9–9 in conference and in danger of missing the NCAA Tournament. After beating Iowa  and blowing out No. 9 Purdue  in the Big Ten Tournament, the Spartans fell to Penn State in the semifinals. The blowout win over Purdue likely ensured the Spartans inclusion in the NCAA Tournament. Michigan State received a No. 10 seed in the Southeast Region of the NCAA Tournament, their 14th straight appearance, but the lowest seeding the Spartans had received in the NCAA Tournament since 2002. MSU fell behind early to UCLA in the Second Round (formerly known as the First Round) and made a furious rally, but fell short, losing by two points. The loss marked only the fourth time MSU failed to win a game in their 14 trips to the NCAA Tournament under Tom Izzo. Following Bridges and Jackson's departures to the NBA, the 2018–19 team began the season ranked No. 10 in the country. The season was dominated by injuries to the Spartans. Starting guard Joshua Langford only played 13 games before missing the rest of the season with a foot injury. Key starter Matt McQuaid missed three games with injury and key reserve Kyle Ahrens missed nine games with back and ankle injuries. With five games remaining in the Big Ten regular season, big man Nick Ward suffered a hairline fracture in his shooting hand and missed the rest of the regular season. He returned in time for the postseason, but was not the same as he struggled to return to the lineup. Despite this, the Spartans earned a share of the Big Ten regular season championship with Purdue and defeated arch-rival Michigan twice in the regular season. Led by Big Ten Player of the Year Cassius Winston, the Spartans also won the Big Ten Tournament for the sixth time, again defeating Michigan in the championship game to go 3–0 against their rival. As the No. 2 seed in the NCAA Tournament, the teams 22nd straight appearance in the Tournament, the Spartans defeated Bradley and Minnesota to advance to their first Sweet Sixteen in four years. In the Sweet Sixteen, the Spartans blew out No. 3 seed LSU to face top-seeded Duke in the Elite Eight. Despite having multiple first round NBA Draft picks, the Spartans knocked off the Blue Devils to earn a trip to the school's 10th Final Four and eighth under Izzo. The win over Duke improved Izzo's record to 2–11 against Duke coach Mike Krzyzewski. In the Final Four, the Spartans were upset by Texas Tech, ending the school's bid for a third national championship. Winston led the Spartans, averaging 18.8 points and 7.5 assists per game. Three Michigan State coaches have been inducted into the Hall of Fame. They are Pete Newell (National Collegiate Basketball Hall of Fame, Class of 2006), Jud Heathcote (National Collegiate Basketball Hall of Fame, Class of 2009), and Tom Izzo (Naismith Memorial Basketball Hall of Fame, Class of 2016). Since 1976, the Spartans have had only two head basketball coaches, Heathcote and Izzo. Heathcote (1976–1995) coached the Spartans for 19 seasons before retiring following the 1994–95 season. His hand-picked successor, Izzo, an assistant with MSU since 1983, completed his 24th year as head coach of the Spartans in 2019. George Denman 1901–03 11–0 (1.000) Michigan State's only undefeated basketball coach. Jud Heathcote won three Big Ten titles in his 19 years at MSU. His teams appeared in nine NCAA Tournaments, four Sweet Sixteens, one Elite Eight, one Final Four and won one National Championship. After his early success with Magic Johnson and company, Heathcote finished his career strong, appearing in five NCAA Tournaments in his final six years. However, he never advanced past the Sweet Sixteen after winning the championship in 1979. His teams also appeared in three NITs reaching the NIT Final Four in 1989. Heathcote was named Big Ten Coach of the Year in 1978 and 1986. Heathcote was inducted into the National Collegiate Basketball Hall of Fame, Class of 2009. Tom Izzo worked as an assistant under Heathcote for 12 years prior to being named his successor. Other assistants who worked under Heathcote went on to head coaching positions: Don Monson (Idaho and Oregon), Bill Berry (San Jose State), Mike Deane (Siena, Marquette, Lamar, and Wagner), Jim Boylan (Chicago Bulls and Milwaukee Bucks), Jim Boylen (Utah), Stan Joplin (Toledo), and Brian Gregory (Dayton, Georgia Tech, and South Florida). Since 1995, the team has been coached by Tom Izzo, who has an overall record of 606–232 as the head coach at Michigan State. Izzo coached the Spartans to their second national championship in 2000 with an 89–76 victory over Florida. Izzo has turned Michigan State into a perennial basketball powerhouse. Izzo has guided the Spartans to eight NCAA Final Fours since 1999, an accomplishment unmatched by any other college basketball program during that span. Izzo has never had a losing season at MSU and has also appeared in a postseason tournament every year he has headed the MSU basketball program: two years in the NIT and 22 straight appearances in the NCAA Tournament. His teams have won nine Big Ten regular-season championships, six Big Ten tournament championships and have reached the Sweet Sixteen 20 times, the Elite Eight 14 times, the Final Four eight times, and played in two NCAA Championship games, in which they won the 2000 NCAA National Championship Tournament. On March 15, 2019 Tom Izzo won his 600th game. For the entire season-by-season results, see Michigan State Spartans men's basketball seasons. The Spartans have appeared in 33 NCAA Division I Men's Basketball Tournaments, with a current streak of 22 straight years, with two NCAA basketball national championships. They have appeared in ten Final Fours and sport a 69–32 all-time NCAA tournament record. The NCAA began seeding the tournament with the 1979 edition. The Spartans have received a No. 1 seed in five Tournaments. Their average seed in the NCAA Tournament is a 4.8. They have been a No. 5 seed the most times (six). The lowest seed the Spartans have received in the Tournament is a 10 (three times). Prior to seeding in NCAA Tournaments, MSU appeared in the 1957, 1959, and 1978 NCAA Tournaments. Since 1979, the Spartans have failed to qualify for the tournament 11 times. They have a current streak of 22 straight appearances in the tournament (as of 2019). The Spartans have appeared in 33 NCAA Tournaments, reaching the Sweet Sixteen 20 times, the Elite Eight 14 times, the Final Four ten times, and the National Championship game three times. They have reached the Final Four three times as a No. 1 seed, three times as a No. 2 seed, twice as a No. 5 seed, and once as a No. 7 seed. They won the National Championship as a No. 2 seed in 1979 and as a No. 1 seed in 2000. The Spartans have appeared in the National Invitation Tournament (NIT) five times. Their combined record is 6–6. Michigan State has won 15 Big Ten regular-season championships, the sixth-most in Big Ten history. Michigan State has won six Big Ten Tournament championships since its inception in 1998, the most championships in the Big Ten. The Spartans have appeared in seven championship games, only losing the 2015 championship to Wisconsin. Michigan State has appeared in the quarterfinals of every Big Ten Tournament. Michigan State only has losing records against three Big Ten teams. 60 total NBA draft picks. 1 overall No. 1 pick – Magic Johnson. Tom Izzo's teams have worn many different styles of uniform  during his 21 years at Michigan State. Nike, Inc. started making jerseys for the team at the start of the 2000–01 season. The Spartans used the College Gymnasium prior to moving to Demonstration Hall for 10 years. The Spartans used this building, still in use on campus today, as their home from 1930 to the opening of Jenison Fieldhouse in 1940. The arena opened in 1940 and was named for alumnus Frederick Cowles Jenison, whose estate, along with PWAP funds, funded the building. The building was the home of the Spartans from 1940 to 1989 when the Breslin Center opened. The venue is most famous for its 1979 NCAA champion basketball team, which included Earvin "Magic" Johnson, and was coached by Jud Heathcote. The building is still in use on campus today. The 2007–08 Michigan State Spartans men's basketball team represented Michigan State University in the 2007–08 NCAA Division I men's basketball season. They played their home games at Breslin Center in East Lansing, Michigan and were coached by 13th-year head coach, Tom Izzo. MSU finished the season 27–9, 12–6 to finish in fourth place in Big Ten play. They received a bid to the NCAA Tournament for the 11th consecutive year and reached the Sweet Sixteen before losing to Memphis. The 2008–09 Michigan State Spartans men's basketball team represented Michigan State University in the 2008–09 NCAA Division I men's basketball season. They were led by head coach Tom Izzo who was in his 14th year as head coach. The team played their home games at the Breslin Center in East Lansing, Michigan and were member of the Big Ten Conference. MSU finished the season 31–7, 15–3 in Big Ten play to win the Big Ten regular season championship by four games. They defeated Minnesota in the quarterfinals of the Big Ten Tournament before losing to Ohio State in the semifinals. The Spartans received their 12th-straight NCAA Tournament bid, an at-large bid as the No. 2 seed in the Midwest region. They defeated Robert Morris, USC, Kansas, and Louisville to advance to the Final Four for the fifth time under Izzo. In the Final Four, they defeated UConn to advance to the National Championship game where they lost to North Carolina. The 1999–2000 Michigan State Spartans men's basketball team represented Michigan State University in the 1999–2000 NCAA Division I men's basketball season. The team played their home games at Breslin Center in East Lansing, Michigan. They were coached by Tom Izzo, in his fifth year as head coach, and were members of the Big Ten Conference. The Spartans finished the season 32–7, 13–3 to win a share of the Big Ten regular season championship for the third consecutive year. As the No. 2 seed in the Big Ten Tournament, they defeated Iowa, Wisconsin, and Illinois to win the tournament championship for the second consecutive year. As a result, they received the conference's automatic bid to the NCAA Tournament. As the No. 1 seed in the Midwest region, they defeated Valparaiso and Utah to advance to the Sweet Sixteen for the third consecutive year. They then defeated Syracuse and Iowa State to advance to the Final Four for the second consecutive year. After a win in the National Semifinal over fellow Big Ten foe Wisconsin, MSU won the National Championship over Florida. The win marked the school's second National Championship and Izzo's only championship to date. The 1998–99 Michigan State Spartans men's basketball team represented Michigan State University in the 1998–99 NCAA Division I men's basketball season. The team played their home games at Breslin Center in East Lansing, Michigan and were coached by fourth-year head coach, Tom Izzo. The Spartans finished the season 33–5, 15–1 to win the Big Ten regular season championship. MSU defeated Northwestern, Wisconsin, and Illinois to win the Big Ten Tournament and receive the conference's automatic bid to the NCAA Tournament. As the No. 1 seed in the Midwest region, they defeated Mount Saint Mary's and Ole Miss to advance to their second straight Sweet Sixteen. In the Sweet Sixteen they defeated Oklahoma to advance to the school's first Elite Eight since 1979. In the Elite Eight, they defeated Kentucky to earn a trip to the Final Four for the first time since 1979. There they lost No. 1-ranked Duke. The 33 wins marked a school record for wins in a season. The 2000–01 Michigan State Spartans men's basketball team represented Michigan State University in the 2000–01 NCAA Division I men's basketball season. Tom Izzo, in his sixth year as head coach, led the team that played their home games at Breslin Center in East Lansing, Michigan and were members of the Big Ten Conference. The Spartans finished the season with a record of 27–5, 13–3 to finish in a tie for the Big Ten regular season championship for the fourth consecutive year. They received an at-large bid to the NCAA Tournament. For the third consecutive year, they received a No. 1 seed and reached the Final Four before falling to Arizona. The 2004–05 Michigan State Spartans men's basketball team represented Michigan State University in the 2004–05 NCAA Division I men's basketball season. The Spartans, led by 10th-year head coach Tom Izzo, played their home games at the Breslin Center in East Lansing, Michigan and were members of the Big Ten Conference. MSU finished the season 25–7, 13–3 to finish in second place in the Big Ten. They received a bid to the NCAA Tournament for the eighth consecutive year and advanced to the Final Four before losing to eventual National Champion North Carolina. The 2009–10 Michigan State Spartans men's basketball team represented Michigan State University in the 2009–10 NCAA Division I men's basketball season. Their head coach was Tom Izzo who was in his 15th year. The Spartans played their home games at the Breslin Center in East Lansing, Michigan and were members of the Big Ten Conference. MSU finished the season 28–9, 14–4 in Big Ten play to earn a share of the Big Ten regular season championship for the 12th time in school history. They lost to Minnesota in the quarterfinals of the Big Ten Tournament. The Spartans received an at-large bid to the NCAA Tournament as a No. 5 seed, their 13th consecutive trip to the NCAA Tournament under Izzo. They defeated New Mexico State, Maryland, Northern Iowa, and Tennessee to advance to the Final Four. In the Final Four, the Spartans' sixth trip to the Final Four under Izzo, they lost to Butler. The 2010–11 Michigan State Spartans men's basketball team represented Michigan State University in the 2010–11 NCAA Division I men's basketball season. Tom Izzo led the Spartans in his 16th year at Michigan State. The team played their home games at the Breslin Center in East Lansing, Michigan, and competed in the Big Ten Conference. The Spartans finished the season 19–15, 9–9 in Big Ten play to finish in a tie for fourth place. The Spartans lost in the semifinals of the Big Ten Tournament and received an at-large bid to the NCAA Tournament, their 14th consecutive appearance. As a No. 10 seed, they lost in the Second Round to UCLA. The 2006–07 Michigan State Spartans men's basketball team represented Michigan State University in the 2006–07 NCAA Division I men's basketball season. The head coach was Tom Izzo who was in his 12th year. The team played their home games at the Breslin Center in East Lansing, MIichigan. MSU finished the season 23–12, 8–8 in Big Ten play to finish in a tie for seventh place. The Spartans received their tenth consecutive bid to the NCAA Tournament where they lost in the Second Round to North Carolina. The 2005–06 Michigan State Spartans men's basketball team represented Michigan State University in the 2005–06 NCAA Division I men's basketball season. Their head coach was Tom Izzo, who was in his 11th year at Michigan State. The team played its home games at Breslin Center in East Lansing, Michigan, and competed in the Big Ten Conference. MSU finished the season with a record of 22–12, 8–8 in Big Ten play to finish in a tie for sixth place. As the No. 6 seed in the Big Ten Tournament, they defeated Purdue and Illinois before losing to Iowa in the semifinals. They received an at-large bid to the NCAA Tournament as the No. 6 seed in the Washington D.C. bracket, marking the school's ninth consecutive trip to the NCAA Tournament under Izzo. They lost in the First Round to eventual Final Four participant, George Mason. The 2003–04 Michigan State Spartans men's basketball team represented Michigan State University in the 2003–04 NCAA Division I men's basketball season. The Spartans played their home games at Breslin Center in East Lansing, Michigan. They were coached by Tom Izzo in his ninth year as head coach. MSU finished the season with a record of 18–12, 12–4 to finish in a tie for second place in Big Ten play. The Spartans received a bid to the NCAA Tournament for the seventh consecutive year where they lost in the First Round to Nevada. The 2002–03 Michigan State Spartans men's basketball team represented Michigan State University in the 2002–03 NCAA Division I men's basketball season. The Spartans, led by coach Tom Izzo in his eighth year, played their home games at the Breslin Center in East Lansing, Michigan and were members of the Big Ten Conference. MSU finished the season with a record of 22–13, 10–6 to finish in a tie for third in Big Ten play. The Spartans received a bid to the NCAA Tournament for the sixth consecutive year and advanced to the Elite Eight before losing to Texas. The 2001–02 Michigan State Spartans men's basketball team represented Michigan State University in the 2001–02 NCAA Division I men's basketball season. They were coached by Tom Izzo in his seventh season. The Spartans played their home games at Breslin Center in East Lansing, Michigan and were members of the Big Ten Conference. MSU finished the regular season 19–12, 10–6 to finish in a tie for fourth place in the Big Ten. The Spartans received a bid to the NCAA Tournament for the fifth consecutive year where they lost in the First Round to NC State. The 2011–12 Michigan State Spartans men's basketball team represented Michigan State University in the 2011–12 NCAA Division I men's basketball season. The Spartans' head coach was Tom Izzo, who was in his 17th year at Michigan State. The team played its home games at the Breslin Center in East Lansing, Michigan, and were members of the Big Ten Conference. MSU finished with a record of 29–8, 13–5 in Big Ten play to finish in a three-way tie for first place. The Spartans also won the Big Ten Tournament. The Spartans received a No. 1 seed in the NCAA Tournament, their 15th consecutive trip to the Tournament, and reached the Sweet Sixteen, losing to Louisville. The 2012–13 Michigan State Spartans represented Michigan State University in the 2012–13 NCAA Division I men's basketball season. The head coach was Tom Izzo who was in his 18th year. The team played their home games at Breslin Center in East Lansing, MI and were members of the Big Ten Conference. MSU finished with a record of 27–9, 13–5 to finish in a tie for second place in Big Ten play. The Spartans lost in the semifinals of the Big Ten Tournament to Ohio State. MSU received a bid to the NCAA Tournament for the 16th straight year where they reached the Sweet Sixteen for the second consecutive year, losing to Duke. The 2013–14 Michigan State Spartans men's basketball team represented Michigan State University in the 2013–14 college basketball season. The Spartans, led by 19th year head coach Tom Izzo, played their home games at the Breslin Center in East Lansing, Michigan as members of the Big Ten Conference. MSU finished the season with a record of 29–9, 12–6 to finish in a tie for second place in Big Ten play. The Spartans won the Big Ten Tournament Championship and received the conference's automatic bid to the NCAA Tournament, MSU's 17th straight trip. MSU reached the Elite Eight losing to eventual National Champion, Connecticut. The 2014–15 Michigan State Spartans men's basketball team represented Michigan State University in the 2014–15 NCAA Division I men's basketball season. The Spartans, led by 20th year head coach Tom Izzo, played their home games at the Breslin Center in East Lansing, Michigan as members of the Big Ten Conference. MSU finished with a record of 27–12, 12–6 in Big Ten play to finish in a three-way tie for third place. They advanced to the Big Ten Tournament finals where they lost to Wisconsin. They received an at-large bid to the NCAA Tournament and reached the Final Four for the seventh time under Tom Izzo. There the Spartans lost to eventual National Champion, Duke. The 2000 NCAA Division I Men's Basketball Championship Game was the finals of the 2000 NCAA Division I Men's Basketball Tournament and it determined the national champion for the 1999–2000 NCAA Division I men's basketball season. The National title game was played on April 3, 2000 at the RCA Dome in Indianapolis, Indiana. The game matched No. 1-seeded Michigan State against No. 5-seeded Florida. The Spartans defeated the Gators, who were appearing in the first championship game, 89–76, earning the Spartans their second National Championship. The 1997–98 Michigan State Spartans men's basketball team represented Michigan State University in the 1997–98 NCAA Division I men's basketball season. The team played their home games at Breslin Center in East Lansing, Michigan as members of the Big Ten Conference. They were coached by third-year head coach, Tom Izzo. The Spartans finished the season 22–8, 13–3 in Big Ten play to win a share the regular season Big Ten regular season championship. As the No. 1 seed in the inaugural Big Ten tournament, they were upset by Minnesota in the quarterfinals. MSU received a bid to the NCAA Tournament as the No. 4 seed in the East region, marking the school's first appearance in the Tournament since 1995. They defeated Eastern Michigan in the First Round which marked their first Tournament win since 1994. They then defeated Princeton to advance to the Sweet Sixteen for the first time since 1990. There they lost to No. 1-ranked North Carolina. The 1996–97 Michigan State Spartans men's basketball team represented Michigan State University in the 1996–97 NCAA Division I men's basketball season. The team played their home games at Breslin Center in East Lansing, Michigan. They were coached by second-year head coach, Tom Izzo, and were members of the Big Ten Conference. The Spartans finished the season with a record of 17–12, 9–9 in Big Ten play to finish in a three-way tie for sixth place. MSU received a bid to the National Invitation Tournament for the second consecutive year where they defeated George Washington in the first round before losing to Florida State in the second round. ↑ "Color Palette–The MSU Brand". Michigan State University. September 1, 2015. Retrieved September 13, 2015. ↑ "NCAAB College Basketball 2018 Bracket Tournament". Yahoo Sports. ↑ "Spartans extend NCAA tournament streak, to play Miami (Fla.) in Tulsa". Detroit Free Press. Retrieved 2017-03-13. 1 2 3 4 "16/17 Media Guide" (PDF). Michigan State Spartans. ↑ The Godfather, espn.com, accessed October 9, 2010. ↑ Pete Newell Still The Footwork Master Archived July 16, 2011, at the Wayback Machine , scout.com, accessed October 9, 2010. ↑ A beautiful basketball mind Archived February 20, 2008, at the Wayback Machine , www.sdhoc.com, accessed October 9, 2010. *Ortiz, Jorge L. Another legacy at Newell Many coaches with links to Heathcote, December 28, 2001. 1 2 3 "Former Michigan State basketball coach Jud Heathcote dies at age 90". Detroit Free Press. Retrieved 2017-08-29. ↑ Times, Barry Jacobs, Special To The New York (1990-03-16). "Michigan State Edges Murray State in Overtime". The New York Times. ISSN 0362-4331 . Retrieved 2016-07-07. ↑ PENNER, MIKE (1990-03-16). "NCAA BASKETBALL TOURNAMENT : SOUTHEAST REGIONAL : Popeye Can't Finish Off Michigan State". Los Angeles Times. ISSN 0458-3035 . Retrieved 2016-07-07. ↑ PENNER, MIKE (1990-03-24). "NCAA BASKETBALL TOURNAMENT : SOUTHEAST REGIONALS : Georgia Tech Beats Clock (? ), Michigan State in Overtime". Los Angeles Times. ISSN 0458-3035 . Retrieved 2016-07-07. ↑ WOJCIECHOWSKI, GENE (1991-03-16). "COLLEGE BASKETBALL / NCAA TOURNAMENT : WEST REGIONAL AT TUCSON : Michigan State Escapes Upset". Los Angeles Times. ISSN 0458-3035 . Retrieved 2016-07-07. ↑ WOJCIECHOWSKI, GENE (1991-03-18). "COLLEGE BASKETBALL / NCAA MEN'S TOURNAMENT : No. 10 Utah Works Overtime on Its Image : West: Utes get 29 points from Grant to beat Michigan State, 85–84, in two extra periods and advance to play Nevada Las Vegas". Los Angeles Times. ISSN 0458-3035 . Retrieved 2016-07-07. ↑ "N.C.A.A. TOURNAMENT: MIDWEST; An Unlikely Scorer Helps Michigan State". The New York Times. 1992-03-21. ISSN 0362-4331 . Retrieved 2016-07-07. ↑ Press, From Associated (1992-03-23). "COLLEGE BASKETBALL / NCAA MEN'S TOURNAMENT : This Time, Cincinnati Holds Off Michigan State, 77–65". Los Angeles Times. ISSN 0458-3035 . Retrieved 2016-07-07. ↑ George, Thomas (1994-03-19). "N.C.A.A. TOURNAMENT: SOUTHEAST; Seton Hall Collapses After Taking Early Lead". The New York Times. ISSN 0362-4331 . Retrieved 2016-07-07. ↑ "Weber State 79, Michigan State 72" . Retrieved 2016-07-07. ↑ "Michigan State Official Athletic Site". www.msuspartans.com. Retrieved 2016-02-23. ↑ "Michigan State Official Athletic Site". www.msuspartans.com. Retrieved 2016-01-27. 1 2 "Michigan State Official Athletic Site". www.msuspartans.com. Retrieved 2016-01-27. ↑ "Men's Hoops Avoids NCAA Upset – Michigan State Official Athletic Site". www.msuspartans.com. Retrieved 2016-02-23. ↑ "Men's Basketball Knocks off Princeton to Advance to Sweet 16 – Michigan State Official Athletic Site". www.msuspartans.com. Retrieved 2016-02-23. ↑ NORWOOD, ROBYN (1998-03-15). "Backdoor Gets Slammed on Princeton". Los Angeles Times. ISSN 0458-3035 . Retrieved 2016-02-23. ↑ Curry, Jack (1998-03-15). "1998 N.C.A.A. TOURNAMENT: SECOND ROUND – EAST; Tar Heels Wrest Overtime Victory From Charlotte". The New York Times. ISSN 0362-4331 . Retrieved 2016-02-23. ↑ "Men's Hoops Fall to No. 1 UNC, 73–58 – Michigan State Official Athletic Site". www.msuspartans.com. Retrieved 2016-02-23. ↑ "Temple Stuns No. 5 Michigan State, 60–59 – Michigan State Official Athletic Site". www.msuspartans.com. Retrieved 2016-02-22. ↑ "No. 4 Duke Holds on to Beat No. 9 MSU, 73–67 – Michigan State Official Athletic Site". www.msuspartans.com. Retrieved 2016-02-22. ↑ "Men's Basketball Falls to Top-Ranked UConn – Michigan State Official Athletic Site". www.msuspartans.com. Retrieved 2016-02-22. ↑ "Men's Basketball Suffers Upset at the Hands of No. 24 Wisconsin – Michigan State Official Athletic Site". www.msuspartans.com. Retrieved 2016-02-22. ↑ "UWBadgers.com – The Official Athletic Site of the Wisconsin Badgers – Men's Basketball". stats.uwbadgers.com. Retrieved 2016-02-22. ↑ "Michigan State Passes First Round Test – Michigan State Official Athletic Site". www.msuspartans.com. Retrieved 2016-02-22. ↑ "Spartans Survive Battle with Ole Miss – Michigan State Official Athletic Site". www.msuspartans.com. Retrieved 2016-02-22. ↑ "1999 OU Men's Basketball Season – SoonerStats.com – Oklahoma Sooners Football, Basketball, Baseball, and Softball Scores, Records, and Stats". www.soonerstats.com. Retrieved 2016-02-22. ↑ "See You in St. Pete! – Michigan State Official Athletic Site". www.msuspartans.com. Retrieved 2016-02-22. ↑ "Spartans Battle, Fall to Blue Devils – Michigan State Official Athletic Site". www.msuspartans.com. Retrieved 2016-02-22. ↑ "Peterson, Cleaves Lead Spartans To Second-Straight Big Ten Title – Michigan State Official Athletic Site". www.msuspartans.com. Retrieved 2016-02-18. ↑ "Spartans One Step Closer To Final Four – Michigan State Official Athletic Site". www.msuspartans.com. Retrieved 2016-02-18. ↑ "Men's Hoops Moves Past Utah Into Sweet 16, 73–61 – Michigan State Official Athletic Site". www.msuspartans.com. Retrieved 2016-02-18. ↑ "Michigan State 75, Syracuse 58". enquirer.com. Retrieved 2016-02-18. ↑ "Michigan State Moves To Elite Eight – Michigan State Official Athletic Site". www.msuspartans.com. Retrieved 2016-02-18. ↑ "Michigan State 75, Iowa State 64". enquirer.com. Retrieved 2016-02-18. ↑ "Spartans Return To Final Four – Michigan State Official Athletic Site". www.msuspartans.com. Retrieved 2016-02-18. ↑ "Spartans Beat Badgers At Their Own Game, 53–41 – Michigan State Official Athletic Site". www.msuspartans.com. Retrieved 2016-02-18. ↑ Drape, Joe (2000-04-04). "N.C.A.A. BASKETBALL TOURNAMENT: CHAMPIONSHIP GAME; Spartans No. 1 From Start to Finish". The New York Times. ISSN 0362-4331 . Retrieved 2016-02-18. ↑ "Spartans Sputter At Big Ten Tournament – Michigan State Official Athletic Site". www.msuspartans.com. Retrieved 2016-02-18. ↑ "NCAA Men's Basketball – Alabama State vs. Michigan State". usatoday30.usatoday.com. Retrieved 2016-02-18. ↑ "NCAA Men's Basketball – Fresno State vs. Michigan State". usatoday30.usatoday.com. Retrieved 2016-02-18. ↑ "Gonzaga Gonzaga/Michigan State Michigan St Men's College Basketball recap on ESPN". a.espncdn.com. Retrieved 2016-02-18. ↑ "Michigan State's Thomas Plays Career Game – Michigan State Official Athletic Site". www.msuspartans.com. Retrieved 2016-02-09. ↑ "Michigan State Falls Short In Title Defense – Michigan State Official Athletic Site". www.msuspartans.com. Retrieved 2016-02-09. ↑ "Arizona steals the show, 80–61". tribunedigital-baltimoresun. Retrieved 2016-02-09. ↑ "Badgers End MSU's Home Win Streak". University of Wisconsin. Retrieved 2016-02-09. ↑ "Men's Hoops Edged By Wisconsin, 64–63 – Michigan State Official Athletic Site". www.msuspartans.com. Retrieved 2016-02-09. ↑ "Spartans Fall To Indiana In Big Ten Tourney – Michigan State Official Athletic Site". www.msuspartans.com. Retrieved 2016-02-18. ↑ "Espn.com". Wolfpack rally to dispatch Michigan State. Retrieved 2016-02-09. ↑ "Spartans Move On With Fifth Straight Win Over Purdue – Michigan State Official Athletic Site". www.msuspartans.com. Retrieved 2016-02-17. ↑ "Spartans Lose By Point In Big Ten Semifinals – Michigan State Official Athletic Site". www.msuspartans.com. Retrieved 2016-02-17. ↑ Spousta, Tom (2003-03-22). "2003 N.C.A.A. TOURNAMENT: SOUTH; MICHIGAN ST. 79, COLORADO 64". The New York Times. ISSN 0362-4331 . Retrieved 2016-02-17. ↑ Spousta, Tom (2003-03-24). "2003 N.C.A.A. TOURNAMENT: SOUTH; Michigan State Hits a High Note". The New York Times. ISSN 0362-4331 . Retrieved 2016-02-17. ↑ George, Thomas (2003-03-29). "2003 N.C.A.A. TOURNAMENT: SOUTH; Inexperienced Michigan State Remains Unfazed". The New York Times. ISSN 0362-4331 . Retrieved 2016-02-17. ↑ "Spartans' Season Comes To An End In NCAA Regional Final – Michigan State Official Athletic Site". www.msuspartans.com. Retrieved 2016-02-17. ↑ "Spartans Fall In Battle Of Sixes – Michigan State Official Athletic Site". www.msuspartans.com. Retrieved 2016-02-17. ↑ "Spartan Comeback Falls Short Against Oklahoma In OT – Michigan State Official Athletic Site". www.msuspartans.com. Retrieved 2016-02-17. ↑ "Men's Basketball Falls To No. 8 Kentucky, 79–74 – Michigan State Official Athletic Site". www.msuspartans.com. Retrieved 2016-02-17. ↑ "Wildcats make bid for No. 1 before record crowd". ESPN.com. Retrieved 2016-02-17. ↑ "Spartans Fall At No. 17 Syracuse, 96–83 – Michigan State Official Athletic Site". www.msuspartans.com. Retrieved 2016-02-17. ↑ "Spartans Fall To No. 21 Wisconsin, 77–64 – Michigan State Official Athletic Site". www.msuspartans.com. Retrieved 2016-02-17. ↑ "Spartans Advance Past Northwestern, 68–55 – Michigan State Official Athletic Site". www.msuspartans.com. Retrieved 2016-02-17. ↑ "Spartans Edged Out By Wisconsin, 68–66 – Michigan State Official Athletic Site". www.msuspartans.com. Retrieved 2016-02-17. ↑ "Spartans Fall To Nevada In NCAA First Round – Michigan State Official Athletic Site". www.msuspartans.com. Retrieved 2016-02-10. ↑ "Spartans Fall to Top-Ranked Illini – Michigan State Official Athletic Site". www.msuspartans.com. Retrieved 2016-02-16. ↑ "Michigan State Edged By Iowa, 71–69 – Michigan State Official Athletic Site". www.msuspartans.com. Retrieved 2016-02-16. 1 2 "Spartans avoid repeating '04 ouster, top ODU". ESPN.com. Retrieved 2016-02-16. ↑ "Michigan State takes down No. 1 seed Duke". ESPN.com. Retrieved 2016-02-10. ↑ "Matchup Finder | College Basketball at Sports-Reference.com". College Basketball at Sports-Reference.com. Retrieved 2017-01-19. ↑ "Men's Basketball Makes Fourth Trip To Final Four In Last Seven Years – Michigan State Official Athletic Site". www.msuspartans.com. Retrieved 2016-02-09. ↑ "Michigan St. outlasts Kentucky in double-OT thriller". ESPN.com. Retrieved 2016-02-10. ↑ "Michigan State Falls To North Carolina In Final Four Matchup – Michigan State Official Athletic Site". www.msuspartans.com. Retrieved 2016-02-10. ↑ "Oh Roy! North Carolina stops Michigan State". ESPN.com. Retrieved 2016-02-10. ↑ "Michigan State Falls To Hawaii, 84–62 – Michigan State Official Athletic Site". www.msuspartans.com. Retrieved 2016-02-16. ↑ "Gonzaga outlasts Michigan State in 3 OT in Maui". ESPN.com. Retrieved 2016-02-16. ↑ "Michigan State Advances In Big Ten Tournament – Michigan State Official Athletic Site". www.msuspartans.com. Retrieved 2016-02-16. ↑ "Michigan State Knocks Off No. 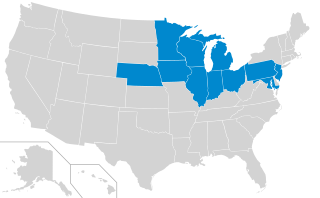 9 Illinois, 61–56 – Michigan State Official Athletic Site". www.msuspartans.com. Retrieved 2016-02-16. ↑ "Spartans Fall To No. 20 Hawkeyes, 53–48 – Michigan State Official Athletic Site". www.msuspartans.com. Retrieved 2016-02-16. ↑ "Michigan State Falls To George Mason, 75–65 – Michigan State Official Athletic Site". www.msuspartans.com. Retrieved 2016-02-10. ↑ "Shannon Brown To Test NBA Draft Waters :: Spartan junior will enter his name in draft, but will not hire an agent". www.cstv.com. Retrieved 2016-02-03. ↑ "Gary Harris becomes just the fifth player in Tom Izzo era to declare early for NBA draft". MLive.com. Retrieved 2016-02-03. ↑ "Neitzel, Michigan State stun No. 2 Wisconsin". ESPN.com. Retrieved 2016-02-15. ↑ "Spartans Face Wisconsin In Big Ten Tournament Quarterfinals – Michigan State Official Athletic Site". www.msuspartans.com. Retrieved 2016-02-15. ↑ "Michigan State Tops Northwestern, 62–57, To Advance To Quarterfinals – Michigan State Official Athletic Site". www.msuspartans.com. Retrieved 2016-02-15. ↑ "Spartans Top Marquette In First Round – Michigan State Official Athletic Site". www.msuspartans.com. Retrieved 2016-02-10. ↑ "Hansbrough casts aside mask, then Michigan State". ESPN.com. Retrieved 2016-02-10. ↑ "Suton's double-double sparks streaking Spartans". ESPN.com. Retrieved 2016-02-10. ↑ "Michigan St. turns in it up in 2nd half to beat BYU". ESPN.com. Retrieved 2016-02-10. ↑ "Key First-Half Run Powers No. 9 Michigan State Past No. 4 Texas – Michigan State Official Athletic Site". www.msuspartans.com. Retrieved 2016-02-10. ↑ "No. 19 Spartans Edged by No. 8 Badgers – Michigan State Official Athletic Site". www.msuspartans.com. Retrieved 2016-02-10. ↑ "Spartans Knock Out Temple, 72–61, To Advance To Second Round – Michigan State Official Athletic Site". www.msuspartans.com. Retrieved 2016-02-10. ↑ "Spartan guards shoot Michigan St. past Pittsburgh". ESPN.com. Retrieved 2016-02-10. ↑ "Memphis shows top-seed cred, spanks Spartans". ESPN.com. Retrieved 2016-02-10. ↑ "Michigan State Hosts Northwestern" . Retrieved 2017-02-03. ↑ "Purdue vs. Michigan State – Game Recap – March 8, 2009 – ESPN". ESPN.com. Retrieved 2017-02-03. ↑ "2008–09 Men's Basketball All-Big Ten Teams Dominated by Sophomore Standouts Big Ten Conference Official Site". bigten.org. Retrieved 2016-01-29. ↑ "Izzo, Lucas and Walton Earn Major Conference Awards – Michigan State Official Athletic Site". msuspartans.com. Retrieved 2016-02-10. ↑ "Spartans Advance With Win Over Minnesota" . Retrieved 2017-02-07. ↑ "Spartans' Comeback Efforts Fall Short In Semifinals" . Retrieved 2017-02-07. ↑ "Spartans Earn NCAA Bid For 12th Straight Year" . Retrieved 2017-02-07. ↑ "Michigan St. grinds out Robert Morris in opener". ESPN. Retrieved 2016-02-10. ↑ "Spartans Face Kansas In Sweet 16 On Friday" . Retrieved 2017-02-07. ↑ "Walton's offense contributes to Michigan St. win". ESPN. Retrieved 2016-02-10. ↑ "Michigan State ousts defending champ Kansas". ESPN. Retrieved 2016-02-10. ↑ "Spartans squeeze Louisville for Final Four berth". ESPN. Retrieved 2016-02-10. ↑ "Spartans Halt Huskies In Final Four, Advance To NCAA Title Game" . Retrieved 2017-02-07. ↑ "Michigan State vs. North Carolina – Game Recap – April 6, 2009 – ESPN". ESPN.com. Retrieved 2017-02-07. ↑ "Spartans Fall to Tar Heels in NCAA Title Game" . Retrieved 2017-02-07. ↑ "Spartans Fall Late In OT To Minnesota 72–67 – Michigan State Official Athletic Site". www.msuspartans.com. Retrieved 2016-02-15. ↑ "Lucas shines as Michigan St. hangs on vs. NMSU". ESPN.com. Retrieved 2016-01-31. ↑ "Michigan State sinks Maryland with 3 at buzzer". ESPN.com. Retrieved 2016-01-31. ↑ "Morgan's FT sends Spartans back to Final Four". ESPN.com. Retrieved 2016-01-19. ↑ "Butler vs. Michigan State – Game Recap – April 3, 2010 – ESPN". ESPN.com. Retrieved 2017-05-18. ↑ "Green's Double-Double Helps MSU Top Iowa, 66–61 – Michigan State Official Athletic Site". www.msuspartans.com. Retrieved 2016-02-15. 1 2 "Spartans Upset No. 9 Purdue, 74–56, Advance To Semifinals – Michigan State Official Athletic Site". www.msuspartans.com. Retrieved 2016-02-15. ↑ "Michigan State Falls In Semifinals To Penn State, 61–48 – Michigan State Official Athletic Site". www.msuspartans.com. Retrieved 2016-02-15. ↑ "Michigan State vs. UCLA box score". ESPN. Retrieved March 18, 2011. 1 2 "Ohio State vs. Michigan State – Game Recap – March 4, 2012 – ESPN". ESPN.com. Retrieved 2016-06-06. ↑ "No. 8 Spartans Knock Out Iowa, 92–75 – Michigan State Official Athletic Site". www.msuspartans.com. Retrieved 2016-02-15. ↑ "No. 8 Spartans Advance to Championship, Top No. 14 Badgers, 65–52 – Michigan State Official Athletic Site". www.msuspartans.com. Retrieved 2016-02-15. ↑ "Spartans Claim Big Ten Title Over Buckeyes, 68–64 – Michigan State Official Athletic Site". www.msuspartans.com. Retrieved 2016-02-15. 1 2 "Green Named Player Of The Year; Izzo Coach Of The Year – Michigan State Official Athletic Site". www.msuspartans.com. Retrieved 2016-02-15. ↑ "Michigan St. advances on Green's triple-double". ESPN.com. Retrieved 2016-02-15. ↑ "Green, Michigan St. oust Saint Louis to move on". ESPN.com. Retrieved 2016-02-15. ↑ "Louisville makes Michigan St. first 1-seed to fall". ESPN.com. Retrieved 2016-02-15. ↑ "No. 8 Michigan State Advances to Big Ten Semifinal Game – Michigan State Official Athletic Site". www.msuspartans.com. Retrieved 2016-02-11. ↑ Polacek, Scott. "OSU Beats MSU 61–58 – as It Happened". Bleacher Report. Retrieved 2016-02-02. ↑ "Nix, Spartans roll over Valpo in NCAA tourney". ESPN.com. Retrieved 2016-02-11. ↑ "Harris helps Michigan St. cruise past Memphis". ESPN.com. Retrieved 2016-02-02. ↑ "Curry powers No. 2 Duke past Michigan State". ESPN.com. Retrieved 2016-02-02. 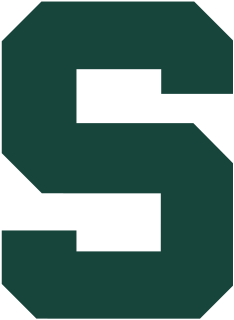 ↑ "Michigan State Spartans College Basketball – Michigan State News, Scores, Stats, Rumors & More – ESPN". ESPN.Go.com. Retrieved April 8, 2017. ↑ "UNC strikes again, topples Michigan State". ESPN.com. Retrieved 2016-02-11. ↑ "Dawson, No. 22 Spartans Top Northwestern 67–51 – Michigan State Official Athletic Site". www.msuspartans.com. Retrieved 2016-02-11. ↑ "Michigan State Upsets Wisconsin in Big Ten Tourney, 83–75 – Michigan State Official Athletic Site". www.msuspartans.com. Retrieved 2016-02-11. ↑ "Michigan St. drops Michigan to claim Big Ten". ESPN.com. Retrieved 2016-02-11. ↑ "Payne's career game leads Michigan St. win". ESPN.com. Retrieved 2016-02-11. ↑ "Michigan State survives Harvard to advance". ESPN.com. Retrieved 2016-02-11. ↑ "Michigan State tops Virginia in Sweet 16 thriller". Big Ten Network. Retrieved 2016-02-02. ↑ "UConn 60, Michigan State 54: Players shocked by NCAA tournament ouster". Detroit Free Press. Retrieved 2015-12-14. ↑ "Michigan State's Gary Harris declares for NBA draft". MLive.com. Retrieved 2016-02-02. ↑ "Texas Southern stuns No. 25 Spartans in OT". ESPN.com. Retrieved 2016-02-02. ↑ "Michigan State beats Ohio State 76–67 in Big Ten tourney". CBSSports.com. Retrieved 2016-02-11. ↑ "Wisconsin uses OT shutout to take Big Ten". ESPN.com. Retrieved 2016-02-02. ↑ "Michigan State holds off Georgia 70–63 in NCAA East Region". ESPN.com. Retrieved 2016-02-11. 1 2 "Michigan State Tops Virginia 60–54 For Trip to Sweet 16 – Michigan State Official Athletic Site". www.msuspartans.com. Retrieved 2016-02-02. ↑ "Spartans down Sooners in East semifinal". ESPN.com. Retrieved 2016-02-02. ↑ "Michigan St., Izzo back to Final Four". ESPN.com. Retrieved 2016-02-02. ↑ "Duke's quest for fifth title rolls on with MSU win". ESPN.com. Retrieved 2016-02-02. ↑ "No. 1 MSU edges Oakland 99–93 in OT thriller at Palace". Detroit Free Press. Retrieved 2016-01-07. ↑ "Was No. 1 MSU hoops' loss to unranked Iowa a big deal?". Detroit Free Press. Retrieved 2016-01-07. ↑ "No. 16 Iowa routs No. 4 Michigan State 76–59, sweeps series". ESPN.com. Retrieved 2016-01-15. ↑ "Nebraska 72, MSU 71: Spartans stunned, drop 3rd straight". Lansing State Journal. Retrieved 2016-01-21. ↑ "Class act: MSU trounces OSU on senior day". Lansing State Journal. Retrieved 2016-03-06. ↑ "USA TODAY Sports college basketball Player of the Year: Michigan State's Denzel Valentine". Detroit Free Press. Retrieved 2016-03-08. ↑ "Michigan State's Denzel Valentine named Big Ten player of year". Detroit Free Press. Retrieved 2016-03-08. ↑ "Michigan State the favorite to win NCAA tournament, oddsmaker says". Detroit Free Press. Retrieved May 9, 2016. ↑ "Vegas action favors Michigan St. ahead of tourney". ESPN.com. Retrieved May 9, 2016. ↑ Rutherford, Mike (March 18, 2016). "Middle Tennessee State's win over Michigan State is the biggest upset in NCAA Tournament history". SBNation.com. Retrieved March 21, 2016. ↑ "Couch: 5 takes on MSU basketball and the Big Ten tournament". Detroit Free Press. Retrieved 2017-05-18. ↑ "Couch: MSU's freshman-heavy lineup not yet fab four". Lansing State Journal. Retrieved 2017-05-18. ↑ TEGNA. "MSU's Miles Bridges named Big Ten freshman of the year". WZZM. Retrieved 2017-05-18. ↑ "Miles Bridges staying at MSU: 'I have unfinished business'". Lansing State Journal. Retrieved 2017-05-18. ↑ "Michigan State's 'dirty work' stifles North Carolina for PK80 title". Detroit Free Press. Retrieved 2017-11-27. ↑ "The worst shooting in UNC history gives Michigan State PK80 Victory bracket title". CBSSports.com. Retrieved 2017-11-27. ↑ "Purdue vs. Michigan State – Game Recap – February 10, 2018 – ESPN". ESPN.com. Retrieved 2018-02-12. ↑ "No. 2 Michigan State matches largest comeback in a decade with 27-point rally over Northwestern". CollegeBasketballTalk. 2018-02-17. Retrieved 2018-02-19. ↑ "No. 1 Michigan State storms back from 27-point deficit for biggest comeback in Big Ten history". USA TODAY. Retrieved 2018-02-19. ↑ "Sole owners! Spartans win Big Ten title outright". Detroit News. Retrieved 2018-02-26. ↑ "OTL: Spartan secrets extend far beyond Larry Nassar". ESPN.com. Retrieved 2018-01-29. ↑ "7 questions AG Bill Schuette needs to answer about his Michigan State investigation". mlive.com. ↑ "DeVos announces new Title IX probe at Michigan State". politico.com. ↑ "Sexual assault overshadows Michigan State basketball win". MLive.com. Retrieved 2018-01-29. ↑ "Michigan State coach Tom Izzo not retiring: 'I've never run from anything in my life'". Sporting News. 2018-03-19. Retrieved 2018-03-20. ↑ "Couch: Alleged payment to Miles Bridges' mom another ding to Michigan State's reputation". Lansing State Journal. Retrieved 2018-02-26. ↑ "Michigan State's Miles Bridges has been cleared and will play Sunday at Wisconsin". CBSSports.com. Retrieved 2018-02-26. ↑ "In brief: Izzo passes Heathcote for Spartan record". Spokesman.com. Retrieved 2016-03-16. 1 2 3 "Michigan State Official Athletic Site". CSTV.com. Retrieved April 8, 2017. ↑ "Tom Izzo Coaching Record | College Basketball at Sports-Reference.com". College Basketball at Sports-Reference.com. Retrieved April 13, 2016. ↑ "Tom Izzo moved up to No. 2 in all-time Big Ten wins but didn't like how he did it". MLive.com. Retrieved 2018-02-07. ↑ Seibold, Jack (October 1, 2003). The Spartan Sports Encyclopedia. Sports Publishing LLC. ISBN 978-1-58261-219-5. ↑ "Jud Heathcote Coaching Record | College Basketball at Sports-Reference.com". College Basketball at Sports-Reference.com. Retrieved 2017-02-15. ↑ "'It's surreal': MSU's Izzo makes Hall of Fame". Detroit News. Retrieved 2016-04-04. ↑ "Men's Basketball Returns To Action Against The Citadel". CSTV.com. Retrieved April 8, 2017. ↑ "Heath confirms firing from USF coaching job". ESPN.com. Retrieved February 11, 2016. ↑ "Tulsa ousts coach Wojcik citing declining sales". ESPN.com. Retrieved February 11, 2016. ↑ "Charleston pays Wojcik $400K in settlement". ESPN.com. Retrieved 2016-02-11. ↑ "2008 College Basketball Tournament Brackets – CBSSports.com". sportsline.com. Archived from the original on May 16, 2008. Retrieved March 26, 2008. ↑ "Michigan State Spartans Index | College Basketball at Sports-Reference.com". College Basketball at Sports-Reference.com. Retrieved 2017-03-24. ↑ "NCAA Basketball – CBSSports.com". sportsline.com. Archived from the original on April 2, 2008. Retrieved March 26, 2008. ↑ "Michigan State Spartans Head-to-Head Results | College Basketball at Sports-Reference.com". College Basketball at Sports-Reference.com. Retrieved 2017-03-23. ↑ "Michigan State men's basketball 2017/18 Media Guide" (PDF). ↑ "Tom Izzo, Michigan State Head Coach, Era Basketball Jersey Style (1995 – Present)". SpartanJerseys.com. Retrieved April 8, 2017. 1 2 "MSU Athletics Unveils New Brand". MSUSpartans.com. Retrieved April 8, 2017. ↑ "MSU to wear 'Mean Green' uniforms vs. Maryland". Detroit Free Press. Retrieved February 24, 2016. ↑ "Michigan State to wear retro MAC uniforms vs. Minnesota". MLive.com. Retrieved 2017-04-11. ↑ "O'Neil: Game of Change cannot be forgotten". ESPN.com. Retrieved 2017-03-24. ↑ "MSU board approves renovation, expansion of Breslin Center – Michigan State Official Athletic Site". www.msuspartans.com. Retrieved 2016-02-19. ↑ "SI.com – Best Student Sections – Feb 22, 2006". CNN. February 22, 2006. Retrieved May 12, 2010. ↑ "Michigan State vs. Wisconsin – Game Recap – January 16, 2005 – ESPN". ESPN.Go.com. Retrieved April 8, 2017. ↑ "MSU board approves renovation, expansion of Breslin Center – Michigan State Official Athletic Site". www.msuspartans.com. Retrieved February 19, 2016. ↑ "Michigan State moving forward with $50 million Breslin Center renovation". MLive.com. October 2015. Retrieved February 19, 2016.